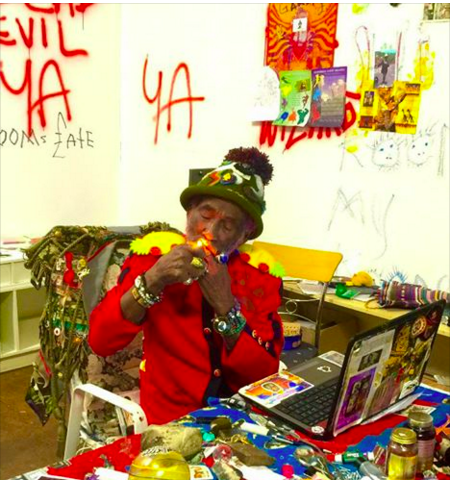 Since I am a reggae music fan for half of my life, Lee Scratch Perry is one of my favourite artist and I wanted to make his hat one day. Then, finally I made a hat inspired by him, his music, imagination of Jamaica and sent it to mr. Lee. I was so excited to see them. Got his powerful message and got positive, happy energy - Thank you so much for the feature. It was wonderful experience.